Entrepreneur and Civil War veteran Joseph T. Jones swept into the Mississippi coast like a fury in the late 1890s, buying up great tracts of pinelands to ship north as pulp or other finished products. In order to better serve his interests, it seemed that founding a city would be just the thing to do and Jones set about the task with vigor. 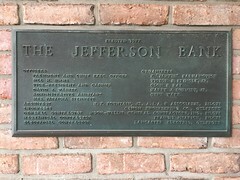 He built much of the city of Gulfport, including the First National Bank and creating the Gulfport Real Estate Improvement Company. The new town’s crowning centerpiece was undoubtedly the sprawling Great Southern Hotel, envisioned as a pleasure palace for vacationing Chicagoans or New Yorkers anxious to escape the cold and wet of winter in exchange for a southern breeze or two. 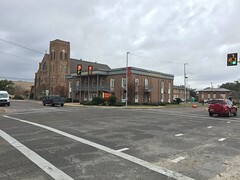 Jones’ nearby Union Station served his own railway line, the Gulf and Island Railroad as well as the Louisville and Nashville line. A handsome station and powerhouse for the hotel were laid out as well. The vast frame structure was painted a dark olive with gray shutters white trim and a red clay tile roof. Its palm studded gardens invited lounging and strolling for hours. Guests fairly charged through the doors when the hotel opened for business in June of 1903 and they often stayed for long intervals, enjoying the spacious lobby, grand dining room, wide hallways, spacious airy verandahs and a host of recreational opportunities. 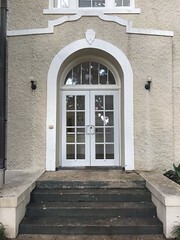 The building sat at the head of 25th Avenue and faced the Mississippi Sound and Cat Island with over 600 feet of frontage. 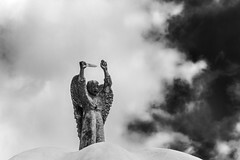 Its three stories and sprawling wings contained 250 rooms with one bath for every two rooms and the nearly unheard of luxury of a telephone in each room, not to mention hot and cold running water. Its spacious lobby was finished in antique oak and the grand dining room was fitted out in Flemish oak. 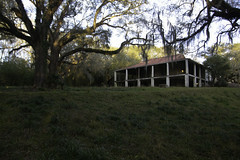 A cafe, billiards room, palm room and even a basketball or “box ball” court rounded out the numerous amenities. Jones built an impressive pier too, and even ran a tram out to the Gulfport Yacht Club which had built an impressive clubhouse at the end of the pier. The original clubhouse burned in 1905, but was promptly rebuilt. In 1908, the hotel engaged Donald Ross to design a golf course with nine holes. Boating, bathing, fishing and dancing were also touted as possible activities for the hordes of pleasure-seekers arriving by train from the cold north, Al Capone was even known to appear from time to time in the lobby or dining room of the Great Southern, at least when he wasn’t busy overseeing his rumored gambling operations at the Isle of Caprice or Ship Island. All of this pleasure-seeking demanded a good manager to oversee operations. David Gage Clarke came down from Chicago to assume management of the hotel from his uncle in 1903. Clarke had gained impressive experience as manager of the Grand Pacific and Tremont Hotels in Chicago. 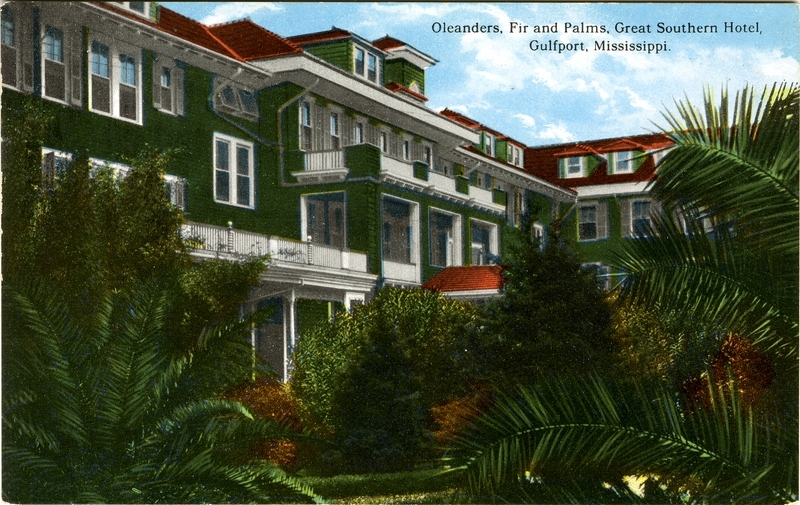 His management proved adroit and the hotel enjoyed many years of success until the Great Depression, The hotel closed briefly in 1933-34, but was soon rescued by a group of concerned Gulfport business owners. They persevered, but the changing styles of travel and increasing demand for modern accommodation spelled the end of the line for the Great Southern. 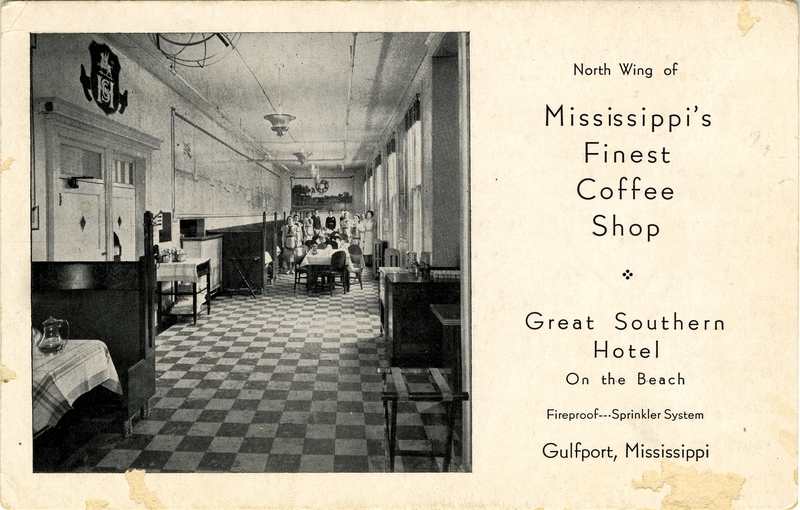 Like many grand seaside hotels of its era, it suffered by comparison to more modern hotels and post-war renovations didn’t matter to a traveling public which was becoming accustomed to the fast and the convenient. 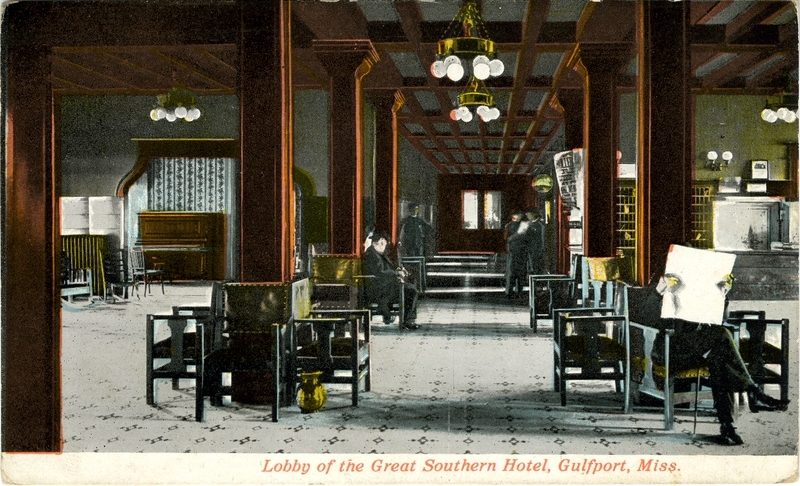 By 1951, the Great Southern and its spacious grounds had been snatched away for the construction of U.S. Highway 90 and the hotel was demolished without ceremony. 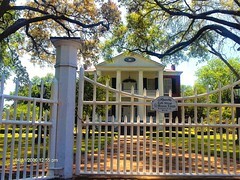 Jones Park occupies the site today. Thanks for sharing this great story–love the post cards. While I confess that I would not care to share my bathroom with strangers, I think it would be lovely to have a stay in a place like this. I love the relaxed air of the post cards. I, too, would have charged through the doors and stayed for a very long interval enjoying the spacious lobby and verandahs! I think today that travelers appreciate a warm hospitable atmosphere more than they did when the hotel began its demise. Delightful story, thank you! Wish I had been able to stay in such a place of great history! Thanks for sharing the information and history on the great old hotel! My grandparents honeymooned at this hotel in 1906. 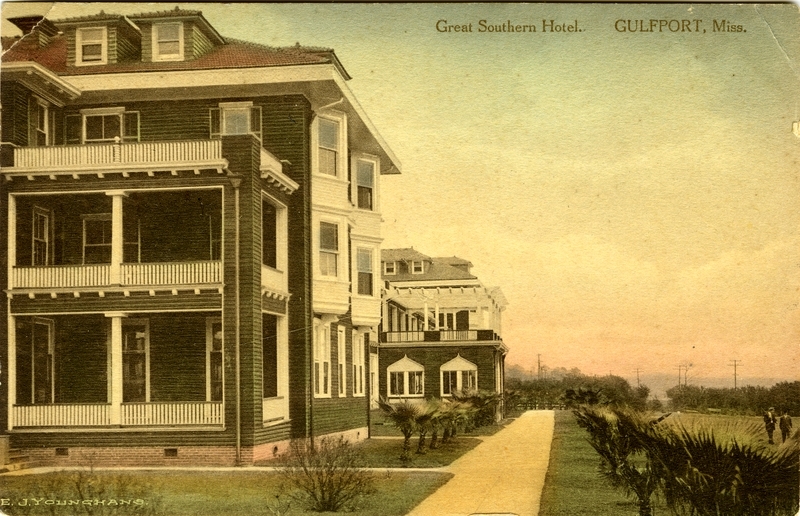 I am fascinated by the lost landmark hotels of our gulf coast. I had never heard of most of them before.